"Go Tell it on the Mountain" was born in the oral culture of African slaves in the American south. It was embraced by the civil rights movement in the 1960's. 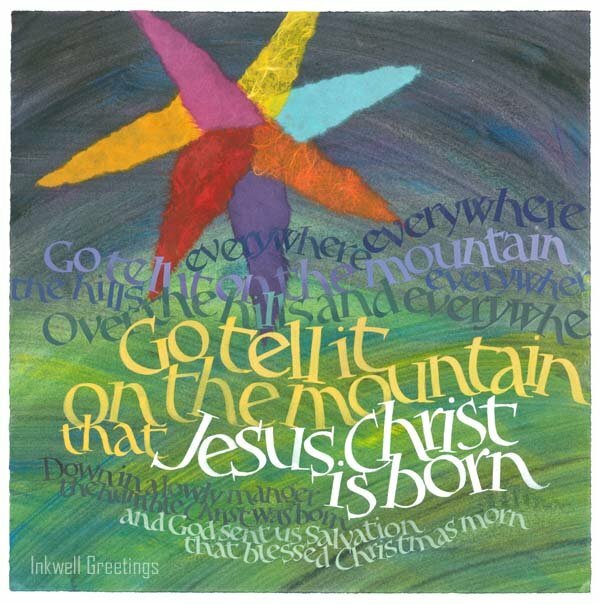 Today it is a perennial favorite at Christmas concerts and church services across North America. The spiritual "Go Tell It on the Mountain" has come to mean many things depending on the time and place in which it is sung - freedom anthem, hymn of faith, a simple song of Christmas.